All Graphical: Would You Take The Risk? The Devil's Pool is possibly the world's most dangerous pool as it is situated 360 feet (~110 meters) on top of Victoria Falls. 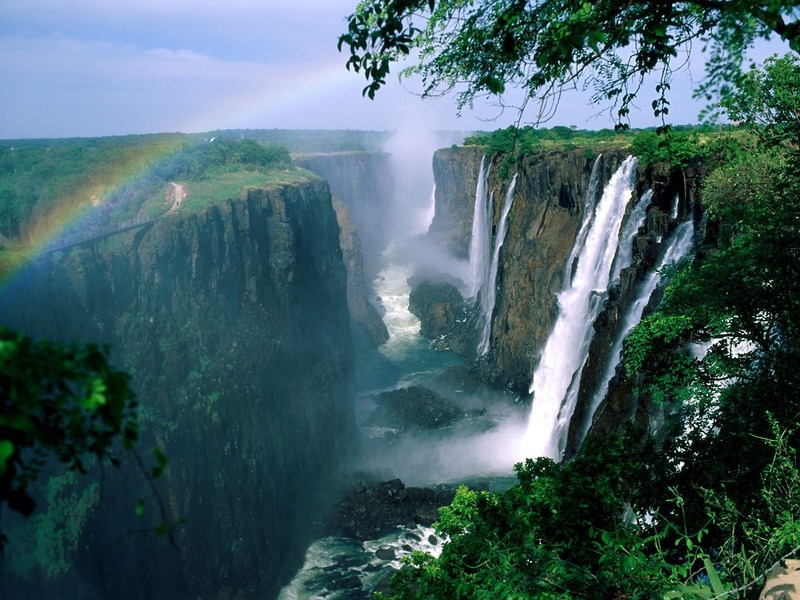 Located in Zimbabwe, Africa, there are also various hippos and crocodiles inhabiting the Zambezi River that forms the Victoria Falls. 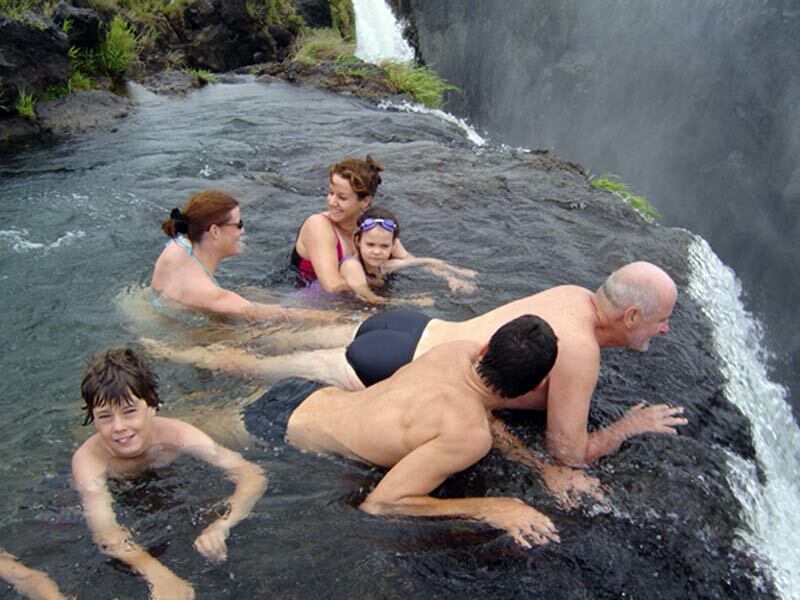 The Devil's Pool is known in aboriginal legend to be cursed by a female spirit looking for her former lover. The locals believe that her calls can still be heard and are the causes of the deaths that occur there. Since 1959, there have been 17 victims from the Devil's Pool. 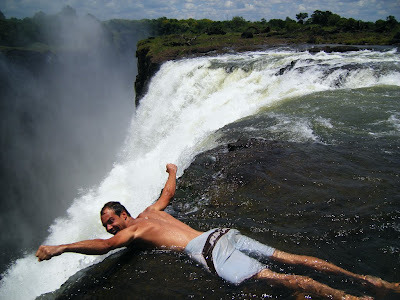 "I’m perched precariously on a slippery rock jutting out of the Zambezi. 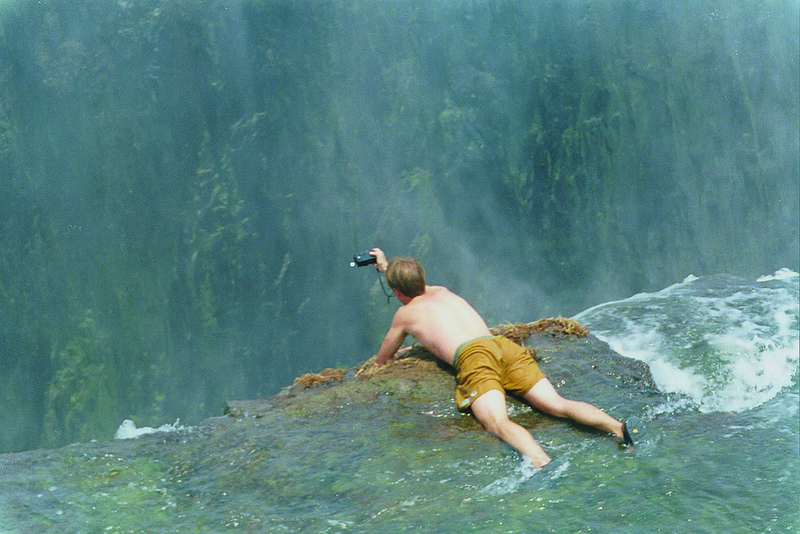 Just a few feet in front of me the mighty river cascades over the Victoria Falls, plunging 100 metres into the gorge below. No matter how many times my guide, Vincent, insists that it’s safe to dive in, I just can’t see what’s going to stop me being swept over the edge and pureed on the jagged rocks at the bottom. But it’s taken me nearly an hour of stumbling over boulders in temperatures of more than 40°C to get to Devil’s Pool and I’m not going to give in. So I grit my teeth and take the plunge — after Vincent jumps in first, of course. The current takes hold immediately, carrying me towards the edge. But, before I can be dragged to a watery grave, I’m stopped by a natural rock wall just beneath the surface. As well as saving my life it allows me to peer over the edge and down into a deafening explosion of rainbow-coloured spray. A truly incredible sight." Victoria Falls is neither the tallest or widest waterfall but it is the largest based on sheer combined area. 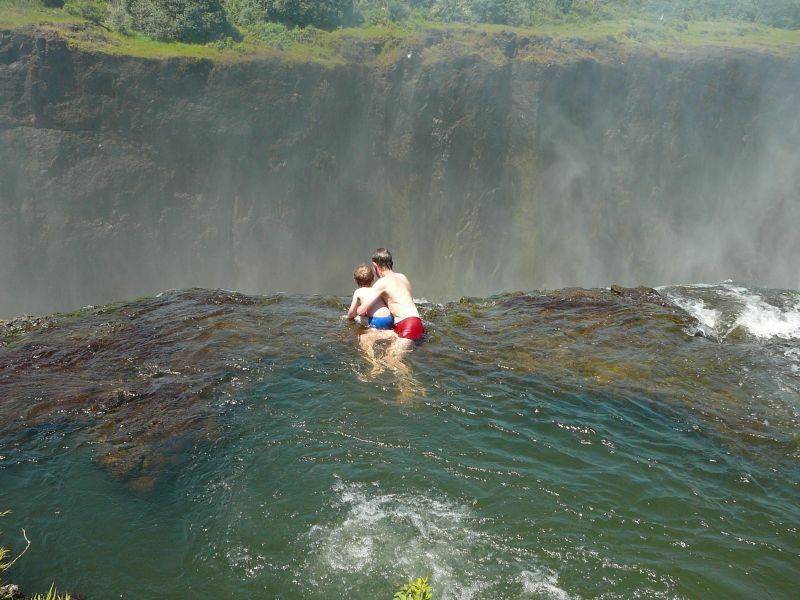 Exploring Devil's Pool is fraught with peril but might just be worth it for a once in a lifetime view of majestic natural beauty. At least if I pissed myself from my fear of heights, nobody would really notice. holy crap i would not! i would swim in pool a bit but nowhere near edge. i really hate heights! i'm even afraid looking 10 meters down so 110 meters is definitely a no for me! Woww, heard of that before but didn't see any picture or video before today! I would love to go out there one day! Hell yes I'd do it. Just one of those things you have to experience once in your life yeah? Man, those guys are crazy! Just...no. Nononono. In answer to your question: No.